New Advances in Electron Microscope « Adafruit Industries – Makers, hackers, artists, designers and engineers! For one thing, Muller’s team has set a new record. Publishing in Nature this July, they used their scope to take the highest resolution images to date. But high resolution isn’t the machine’s only trick. 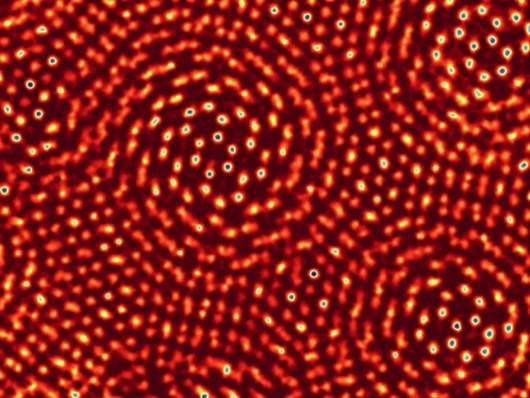 In a paper recently accepted to Nano Letters, a team led by McMorran has developed a new type of image you can take with the microscope. This method can image materials normally transparent to electrons, such as lightweight atoms like lithium. It should allow scientists to study and improve lithium-based batteries with atomic detail.